There will be a whole host of events and activities on at the Southbank Centre between the 9th and 22nd of April, including plays, free live music and giant sandpits. Cadbury Easter eggs are being planted around National Trust properties all over London this Easter weekend. Find your nearest site and discover a chocolate treat to tuck into! Hop into the world of Beatrix Potter at the Theatre Royal Haymarket this Easter! Where is Peter Rabbit? is being performed throughout April, featuring voiceovers from award winning actors Miriam Margolyes and Griff Rhys Jones and plenty of upbeat musical numbers that will have the whole family shaking their tails. More than a hundred cast members as well as horses, donkeys and doves will perform an open-air recreation of Jesus’s resurrection in Trafalgar Square on Good Friday. The show has been hugely popular in previous years, so expect crowds, although big screens will ensure that you don’t miss a moment. With an Easter trail, theatre, workshops and face painting, the Horiman Easter Fair will keep kids entertained for hours on end. Head down to Hen Corner for an eggcellent day! You and your children will be able to meet some hens, hunt for eggs (both real and chocolate), and make delicious hot cross buns! Easter chocolate isn’t just for the kids, as the ruthless DeadDrop Chocolate Run proves! 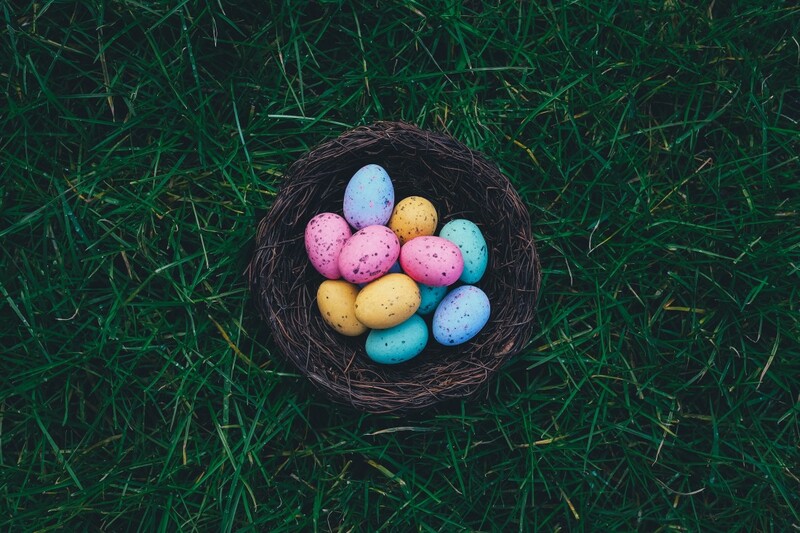 Follow a series of clues to find the Easter Bunny somewhere around London, completing challenges, winning prizes and eating chocolate along the way!